One of the most recognizable names in heating and air conditioning technology, Lennox offers a complete line of commercial rooftop gas furnaces and air conditioners. These ready-to-install systems and state-of-the-art control automation will fit your property’s needs. As an award-winning Minnesota commercial HVAC contractor, we can show you how a quality Lennox packaged furnace and air conditioner meets your needs and budget. 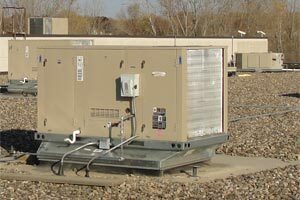 These durable gas electric rooftop heating and AC units are designed to provide complete building comfort. Energy Star rated, they include the industry’s most efficient rooftop units, the Emergence, Strategos and Landmark. With capacities from 3 tons to 50 tons, there’s a model that will match your requirements exactly. High efficiency, long life, and reliability assure you of a low total cost of ownership. Energy-efficient light commercial rooftop unit. Up to 18 SEER rating for air conditioning, Energy Star Qualified. Available in 3 tons to 50 tons gas furnace and electric cooling. 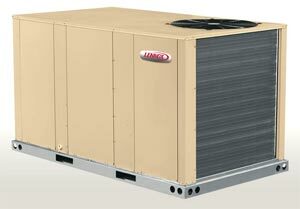 The Energence gas furnace and air conditioning units are perfect for small to midsize buildings. Designed for quick installation and low energy cost, these highly affordable systems are easy to service and maintain. The unique multi-stage air volume supply fan technology provides year-round savings and comfort with reduced energy consumption, improved indoor air quality. The Prodigy control system helps ensure the most accurate setup and installation, reducing start-up issues by up to 60%. The scroll compressor provides reliable operation for peace of mind. The emergency bypass mechanism helps eliminate emergency service calls and minimizes downtime. Each unit comes with a 10-year warranty on aluminized heat exchanger and a 5-year warranty on compressor. Up to 16.1 SEER for air conditioning, Energy Star Qualified. Available in 3 tons – 24 tons gas furnace and electric AC. Intelligent control system for maximal efficiency and comfort. Designed as the most cost-effective and energy-efficient light commercial HVAC equipment, these systems save big when it comes to the total cost of ownership. The Strategos models create great comfort and improve indoor air quality, making them an excellent choice for small to midsize buildings. Each unit comes fully tested and configured by the factory, ready for installation. The 15-year warranty on the stainless steel gas heat exchanger reflects its dependability. 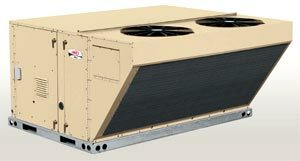 Up to 13 SEER rating for energy-efficient cooling, 2 tons to 25 tons. Direct-spark ignition and enhanced efficiency. Built for reliability and trouble-free operation. 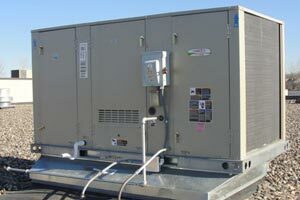 These rooftop packaged furnaces and air conditioners are engineered for dependable operation year-around. Built with heavy-gauge galvanized steel, they can stand the extreme weather conditions in Minnesota. Multiple scroll compressor circuits ensure the unit operate at its maximal life. Convenient features like plug connections for wiring make installing accessories fast and easy. Factory configured units are ready for delivery and reduce the installation cost. Every unit comes with a standard 15-year warranty on steel gas heat exchanger. All Lennox packaged rooftop furnace and air conditioning systems use DuPont Suva R-410A refrigerants for maximum environmental safety. Hinged access panels make maintenance easy, while corrosion-resistant construction assures durability in any weather. Some models include advanced diagnostic unit controllers that make maintenance and record keeping easy. All systems meet or exceed industry standards. The exclusive Lennox Humiditrol Dehumidification System, available on some models, allows separate control over temperature and humidity for maximum comfort in your building. Industry-leading limited warranties assure you of the durability and longevity of your heating and cooling equipment. Whether you need to install a new rooftop furnace and air conditioner, or have a scheduled maintenance service plan, we can help. We offer affordable products and services to keep your heating and cooling system running smoothly all year around. We offer free on-site assessment of your requirements and clear price estimate on the cost of new rooftop HVAC installation. 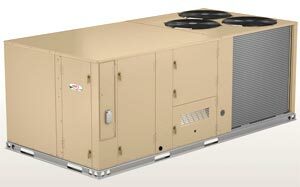 The price of your new commercial furnace and air conditioner depends on the size, the efficiency and the functions. We help you choose the right units for your needs and budget. We will explain to you various money-saving options, such as rebates and promotional deals. Rely on us as your Twin Cities Lennox dealer to supply, install, and maintain innovative, efficient HVAC equipment at your property. Contact us soon to discuss all your needs. Let one of our experienced consultants show you how a total solution can help you achieve maximum comfort and return on your investment with minimum cost over the life of your system.